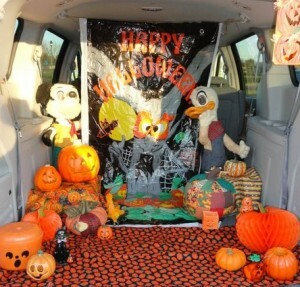 Make plans now for the 4th annual Trunk and Treat on Sunday, October 27 from 4:00 p.m. – 5:00 p.m. If you are interested in helping, decorating a trunk or wanting to know more about this great outreach event, please contact Lori & Dean L.
Your candy donations can be delivered to the church office. Invite others to attend! Hot chocolate and popcorn will be served!